On Friday the 3rd of February already the third Young@Heart event took place, and again it was a great success! The theme of the day was “Strategic Alliances”, which fitted seemlessly with the three goals of Young@Heart: inform, inspire, and connect. Johan Verjans, the chairman of Young@Heart, moderated the day and immediately eased the audience by calling for a short neighbor-to-neighbor discussion on the most important factor for successful collaboration. After this, everyone was awake for the first speaker, Paul Iske, professor of Open Innovation & Business Venturing at the Maastricht University. He emphasized the important skills needed for good collaborations, creativity (apparently everyone gets into a creativity slump around the age of 40! ), and the importance of learning from failures. Hubert de Leeuw and Frits Rosendaal provided additional insights into the CVON consortia and how national collaboration can be fruitful, also for PhD candidates. After lunch all participants had to get to work. ‘Be hard on the subject and soft on the person’ was one of the important lessons of the ‘Negotiation’ workshop. Interesting discussions were held during the world café; should we collaborate more with social sciences or the government? And think of your “what, who, and why” was the most important message that was given during the ‘Strategic with Balls’ workshop; as well as “Don’t stop dreaming!”! The Rietveld brothers ended the day with demonstrating how an out-of-the box collaboration between an architect, Ronald Rietveld, and a philosopher, Erik Rietveld, can be very fruitful. Maybe in the future, the waiting rooms of the hospital will be filled with structures that invite you to lean against them, hang around them, and support you while standing! The whole day was pondered over during drinks, accompanied by music from the band Jilted. All in all, a very successful day! 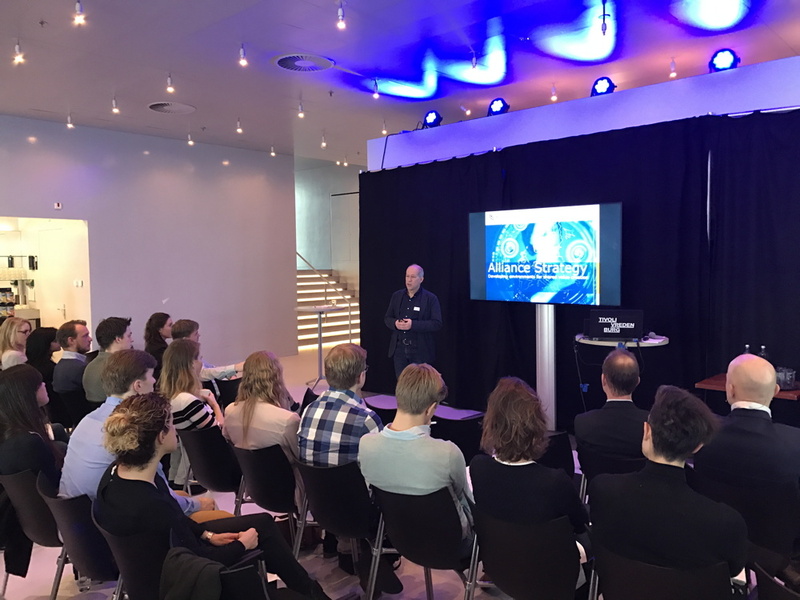 Many thanks to the organizers, Judith de Haan (UMCU / Y@H ambassador), Isabella Kardys (EMC / Y@H member Scientific council), Rik Vos (EMC / Y@H board), and Femke Onwezen (NHI).